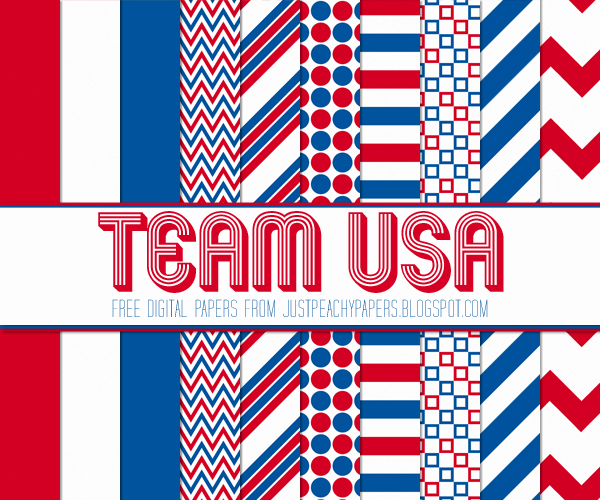 I first shared this free digital paper set with you last year during the 2014 Men's World Cup. And now with the Americans doing so well in the women's World Cup, and the 4th of July holiday coming up, I though it was time to share it again! So here it is - a 12x12 inch digital paper set in patriotic red, white and blue! Just click the above image to download. Feel free to use these papers for any scrapbooking, crafting and digital design projects. You can also use them commercially, just please provide credit to Just Peachy Designs and include a link back to this website. And for you fans of the Lionesses - check out this red and white "Three Lions" digital paper set! You are so talented! Thank you for sharing!